It means something different to everyone. Sometimes it’s defined in the documents. Sometimes it’s not defined in the documents, which means that the documents are relying on a generally-accepted understanding of the meaning. The problem is that “Or Equal” means different things when defined on different projects so there’s really no generally-accepted understanding of the meaning. In Division 01, the most likely place to find the definition of “Or Equal” is Section 01 60 00 “Product Requirements.” That’s the place to start, anyway. 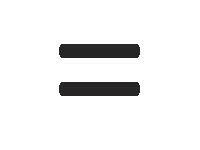 The major confusion that I’ve seen among people3 dealing with “Or Equal” is the question of when “equals” can be accepted. The document that defines “Or Equal” should indicate when they can be submitted on, and how and when they can be accepted. If you are going to use “Or Equal,” properly define it in the construction documents. (If the owner uses it in the procurement and contracting requirements, you need to use it.) Use the definition the owner uses. If you can’t find one in the owner’s documents, ask the owner about this. Understand that you may have to expand on the owner’s definition in order to make it clear to the contractor team. Understand that if you are working on a project with a general contractor on board prior to completion of the construction documents, such as a Construction-Manager-at-Risk/Construction-Manager-General-Contractor project, the CM may be issuing instructions to bidding subcontractors, and you should make sure that these do not conflict with the owner’s definition of “Or Equal.” This is part of the architect’s job. Figure out if you want to allow “equals” or not. Figure out if you want them to be treated as substitutions or not. Figure out if you want to allow substitutions-for-contractor’s-convenience after the contract is signed or not. (Remember that substitutions-for-convenience after the contract is signed are usually not allowed on public projects, because it’s not fair to the bidders who did not win the contract.) Then communicate this to the architect, whether the architect asks for this info or not. For unnamed products by manufacturers that I name in the specs, I use the term “Comparable Products” and specify that submittals for these products are due at the time that the submittal for a named product would come in, during construction. For unnamed products by unnamed manufacturers, I use the term “Substitution” and, except on projects in which the owner wants substitution requests to be allowed during construction, I indicate that substitution requests must be submitted prior to the bid and will be accepted in the form of an addendum, which will be issued to all bidders. So, what does “Or Equal” mean? Whatever the contract documents say it means. It comes down to this: Owners should define “Or Equal.” Architects and specifiers should explain it. Contractors should look it up. We just need to communicate. “Or Approved Equal” is equally confounding, and can be substituted for “Or Equal” in this post. The Colorado Office of the State Architect calls the form “Information for Bidders” instead of “Instructions to Bidders.” Sometimes these instructions aren’t included in the Project Manual, but are instead issued separately, either by the owner or by a Construction-Manager-at-Risk/Construction-Manager-General-Contractor. By “people” I mean the whole freakin’ team. Owners are confused. Architects are confused. Engineers are confused. General Contractors are confused. Subcontractors are confused. Vendors are confused. On your computer keyboard, hitting the Control key at the same time as the F key will usually bring up the Find function. It works in Microsoft Word, PDF readers such as Adobe Acrobat Reader, and web browsers. Sometimes engineers sneak “Or Equal” into the project specifications, though. The cost of a college education has been increasing more each year than the cost of living has. Wages, particularly in the last few years, have not been keeping up with the increasing cost of living. Therefore wages are falling way behind tuition inflation. A college degree is becoming more essential to employment every decade, but the process of earning it seems to be teaching graduates less and less applicable knowledge. A rule of thumb generally preached to prospective college students who need student loans is that they should borrow a total of no more than their annual starting salary after graduation. So many college freshmen don’t actually know what they’ll be doing after graduation. But architecture students do. So many college students have no idea how much they’ll be making after graduation. But architecture students can find this out pretty easily. The 2013 AIA Compensation Report came out last month. Click here for an article about it, that includes some of the data. What do entry-level architecture graduates make? I’m going to spell out some of that data from the report. Remember – these numbers are just averages. According to the rule of thumb, architecture students should borrow a total of no more than $40,000 in student loans, since they’re likely to make no more than $40,000 in their first year after school. To get a professional degree (a BArch or an MArch) in architecture, school takes 5 or 6 years. My alma mater’s current tuition is over $44,000 per year, not including room and board. My alma mater has a 5-year professional degree (a BArch). Tuition alone for the state university in my state is over $10,000 per year, and you’d have to go for a total of 6 years to get a professional degree (4-year degree plus a 2-year MArch). In most states, you need a professional degree if you want to be able to pursue licensure. You might need to borrow money for room and board, or for living expenses, in addition to tuition. If, while in school, you have a job, or live with parents or a spouse who supports you and pays for living expenses, and you get in-state tuition in my state, you’ll likely borrow something like $60,000. If you go to my alma mater, don’t have a job, live on campus, and borrow money for tuition, room and board, you might need something like $285,000, unless you get “gift aid” from the university, in which case you might be borrowing “only” $142,000. You’d never make $142,000 in your field as an architecture grad in the first few years after school. In fact, that figure is close to the mean of what architects top out at right now. The mean salary for CEOs of architecture firms in New England (the highest-paid region in the country for architecture CEOs) is $151,500. That is the highest number on the whole survey. If you have to borrow money to go to architecture school, the math just doesn’t work out. Check it out for yourself – figure out how much tuition and room and board and fees and books and supplies cost at the schools you’re looking at. Then figure out what you might make in each of your first few years in an architecture firm in the city you want to be in. (To do this, go to the local AIA office and ask to look at the latest compensation survey results for that city. Do not search online for “architect salary;” the internet thinks you mean “software architect,” or some other IT field, and they make more. ) Then use an online calculator to see if it’ll work. Here’s one. Something’s gotta give. So what can be changed? I have some thoughts that will be in part two, later this week.